Our EHPs (Environmental Health Practitioners) carry out fire risk assessments on your behalf and on completion provide you with a comprehensive report that complies with the Regulatory Reform (Fire Safety) Order 2005 and the principles set out in the LACORS National Fire Safety Guidance 2008 (the national guidance adopted by councils). We licence and enforce standard in hundreds and often thousands of HMOs each year. We have a wealth of experience in Private and Public sector housing so you can Trust Us To Get It Right. · Identify who is at risk. · Identify potential hazards and sources of ignition within your premises. · Identify any deficiencies in existing fire precautions and procedures. 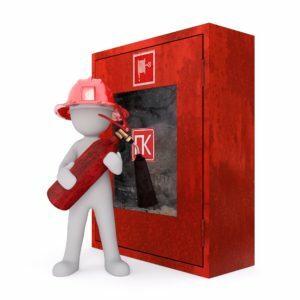 · Assess the suitably of fire safety equipment. · Identify appropriate signs / notices. · Assess the suitability of the means for detecting fire and raising the alarm if fire were to occur. · Assess the suitability of your means of escape in the event of fire. · Provide you with an action plan of any required remedial action.